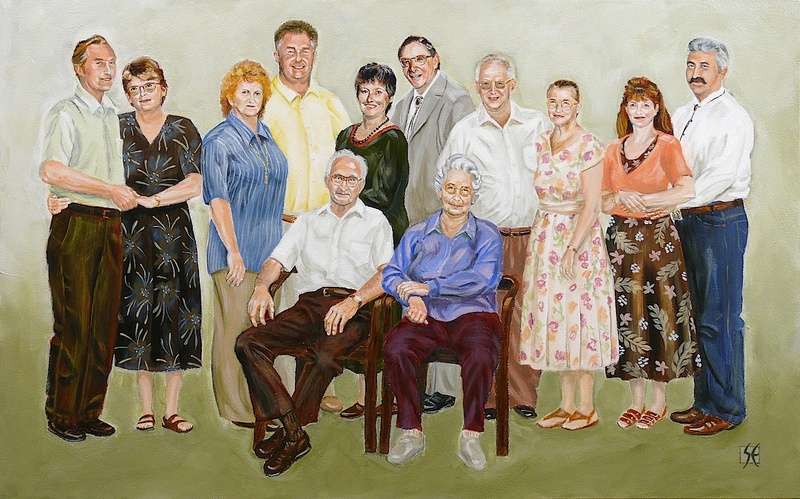 Portrait of twelve relatives commissioned by a local couple, B&L. Acrylic on panel, 20 x 32 inches. 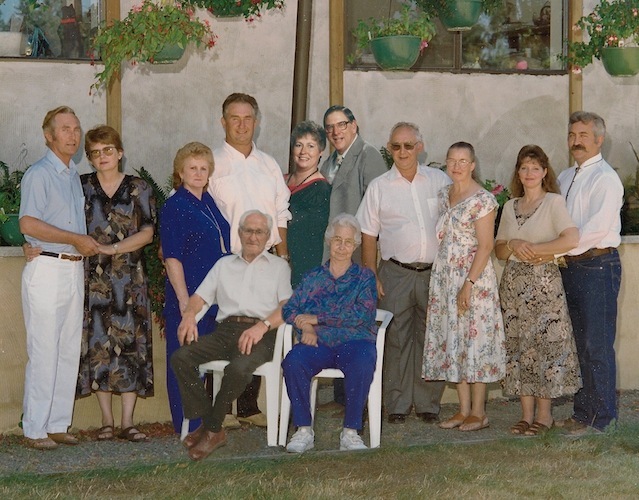 Reference provided was actually a “photoshopped” composite of three different photos taken at different times and places. 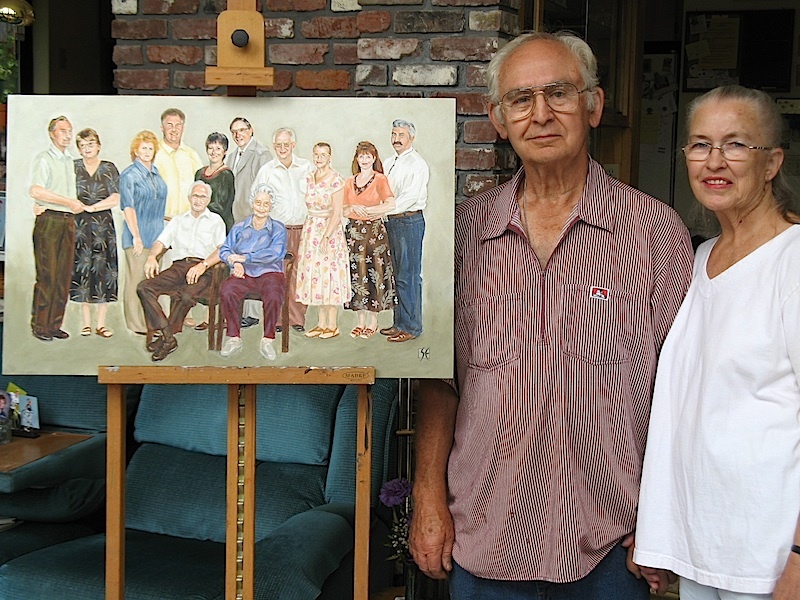 The portrait will be framed and hung on the brick wall behind. Tomorrow, first Thursday from 6-9 pm, our gallery Gallery 114. 1100 NW Glisan Portland (on the opposite side from Blick art) (gallery114.org) will have new show featuring the portrait artwork of Christopher Mooney ( He was also at your portrait talk last month) . He paints giant portraits (4×5 feet) and his work are amazing. Please come and visit. I do too paint portraits and figurative work. If you are interested, we can sometime share a model and split the cost. Hopefully will see you tomorrow night. Your pictures of people are very realistic and lively. Wonderful work.